Dogs in the North offers an interdisciplinary in-depth consideration of the multiple roles that dogs have played in the North. Spanning the deep history of humans and dogs in the North, the volume examines a variety of contexts in North America and Eurasia. The case studies build on archaeological, ethnohistorical, ethnographic, and anthropological research to illuminate the diversity and similarities in canine–human relationships across this vast region. The book sheds additional light on how dogs figure in the story of domestication, and how they have participated in partnerships with people across time. 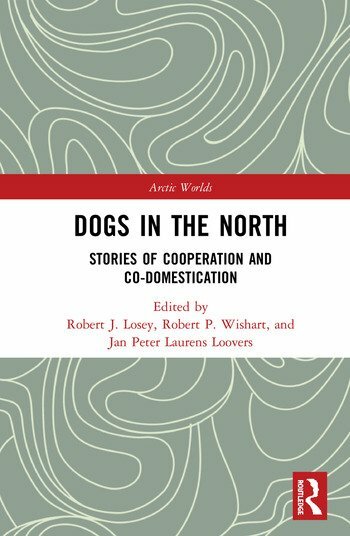 With contributions from a wide selection of authors, Dogs in the North is aimed at students and scholars of anthropology, archaeology, and history, as well as all those with interests in human–animal studies and northern societies. Robert J. Losey is Associate Professor in the Department of Anthropology at the University of Alberta, Canada. His current research involves the study of humans’ relationships with dogs as evidenced in the archaeology of Eastern Russia. Robert P. Wishart is Lecturer in the Department of Anthropology at the University of Aberdeen, UK. His current research involves ethnographic, ethnohistorical, and history of science research focused on colonialism and human–animal relations in the Canadian North. Jan Peter Laurens Loovers is Research Fellow in the Department of Anthropology at the University of Aberdeen, UK. As part of the ERC Arctic Domus Project, his research concerns the relationships between humans, dogs, fish, and caribou in the Canadian circumpolar North and the history of domestication in the Arctic.